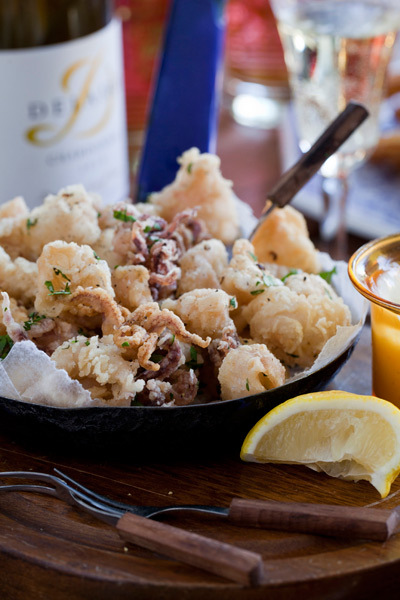 Our love for seafood runs as deep as the ocean. 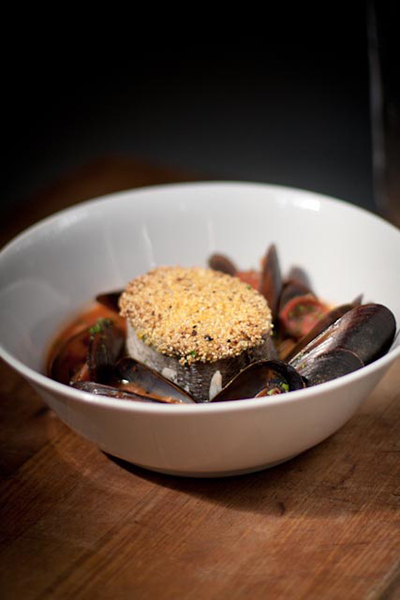 We love the variety of seafood available and how deliciously healthy it can be. Fish is also a great source of protein and packed with omega-3’s essential to our diets. 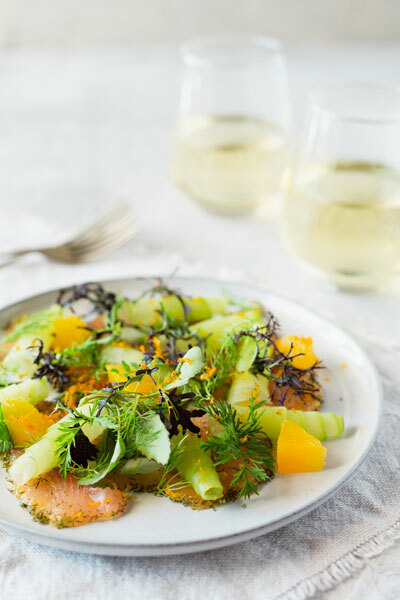 We’ve rounded up our favourite easy and healthy fish recipes (and a healthy dose of fried options too) for your next seafood feast at home. 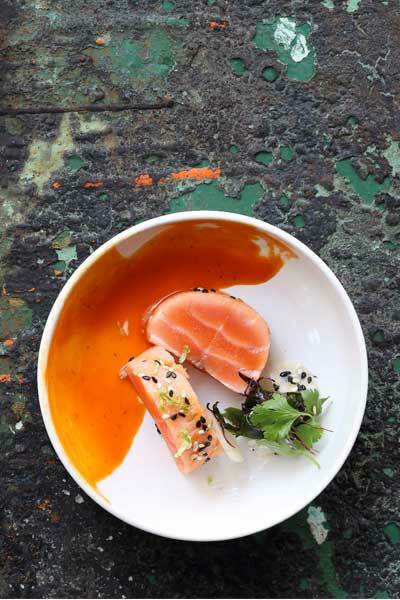 Some easy and healthy ways to prepare fish that still have loads of flavour. We lose the classic deep fried batter for a deliciously crunchy seed crust that is full of healthy fats and nutrients. 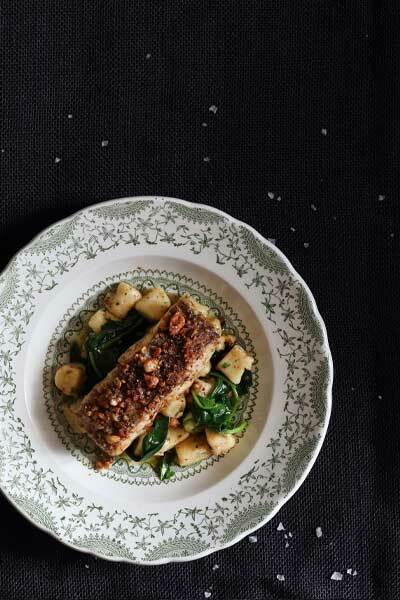 Served on a bed of homemade gnocchi with wilted spinach, fresh parsley and mint. This recipe also replaces the classic batter with a light and fresh coating of polenta. The beautiful mix of classic seafood flavours and addition of chorizo is reminiscent of paella. 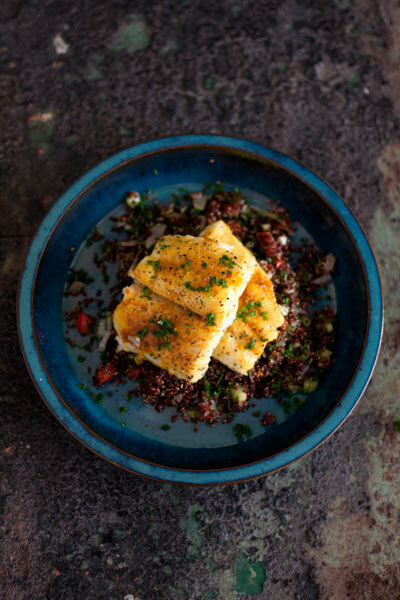 Beautifully baked kingklip served with the tastiest quinoa gently fried with garlic, ginger, leeks, celery and pepper. A well balanced and delicious plate of protein. 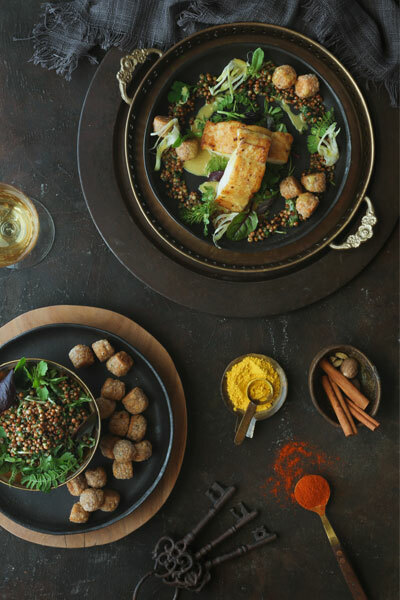 A Cape Malay style curry that allows the kingklip to shine, heightened by a fusion of aromatic spices. Served with maltabella sorghum dumplings and a coconut turmeric latte cream. A slightly healthier version of fish and chips minus the potatoes and added mushy peas. 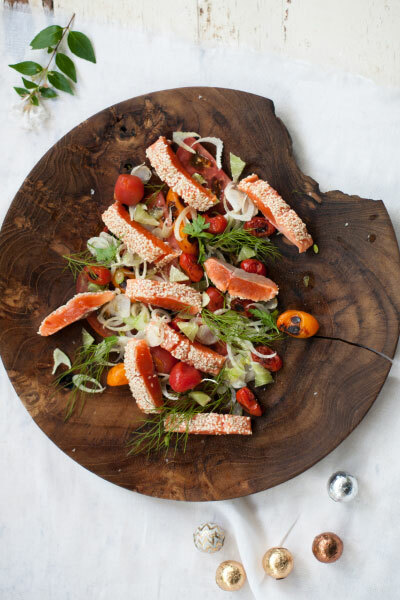 This deliciously light and filling salad is full of flavour and healthy omegas – a perfect spring and summer meal! 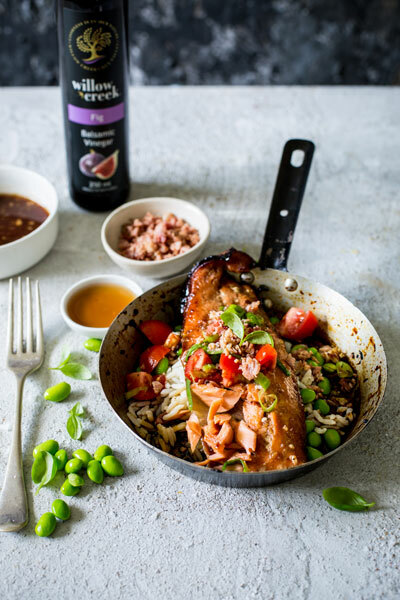 This beautiful dish of fish is beaming with delicious sweet and salty flavours from the balsamic and bacon combination – an easy and healthy Asian-inspired dinner or lunch option. Another tasty trout recipe to add to your list! 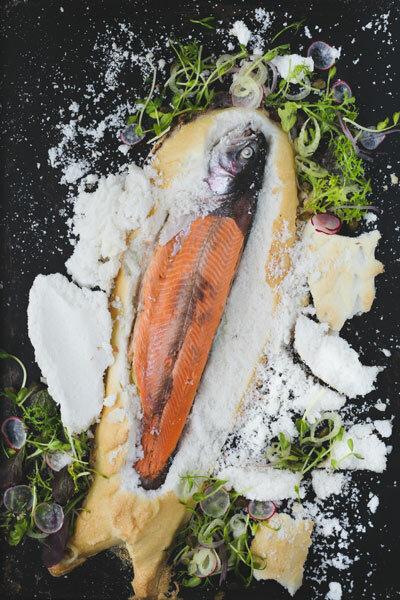 This is one of the most traditional methods of cooking fish – by creating a salt bake you seal in all the moisture of the fish, leaving it juicy and full of flavour. 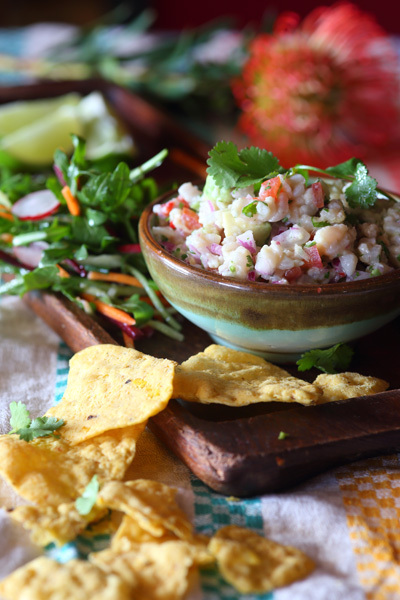 Ceviche is really one of the best ways to prepare and enjoy fish – the punchy and fresh flavours from the lime, coriander and chilli are honestly just the best. 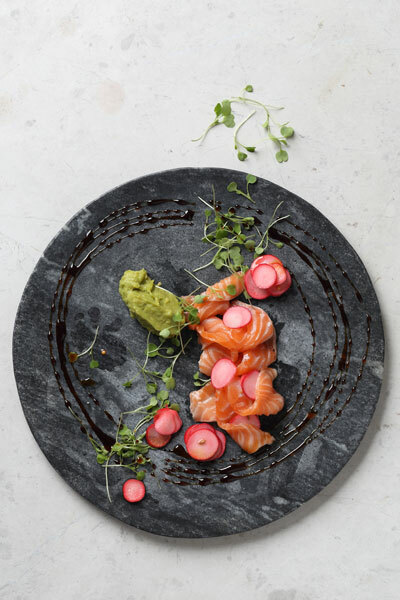 Deliciously light and juicy cubes of lime-cured Dusky Kob with a baby fennel, radish and spring onion salad. Again, make sure that you request farmed Dusky Kob as they are highly endangered. 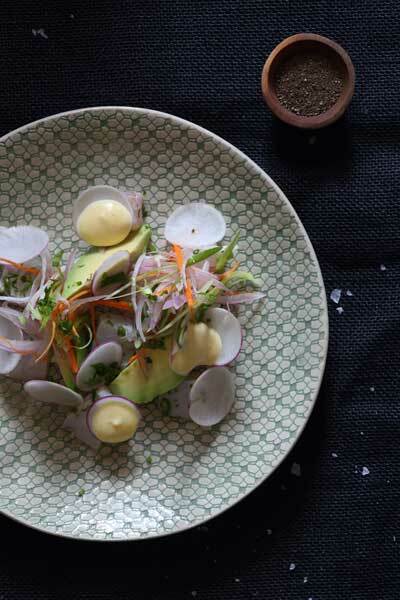 A gorgeous white fish ceviche bursting with fresh flavour from the lime and tangy salsa. Served with avo and nachos to scoop up all the deliciousness. A refreshing, light and delicious dish with beautiful flavour from the lime, chilli, garlic and fresh coriander. Eating fish raw is a great way to ensure that you get the best nutrients out of it. 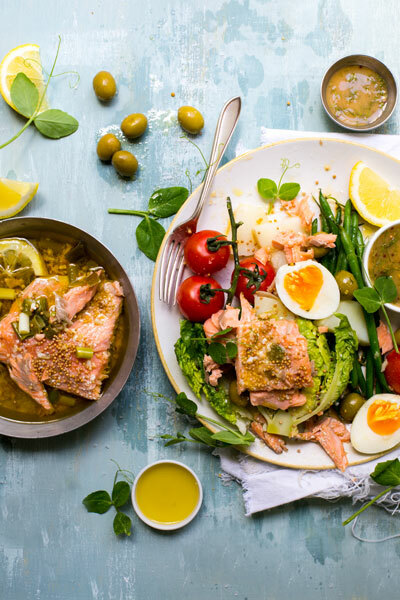 There are many different preparations and the freshness, texture and flavour can’t be beat – some of our favourite healthy fish recipes. 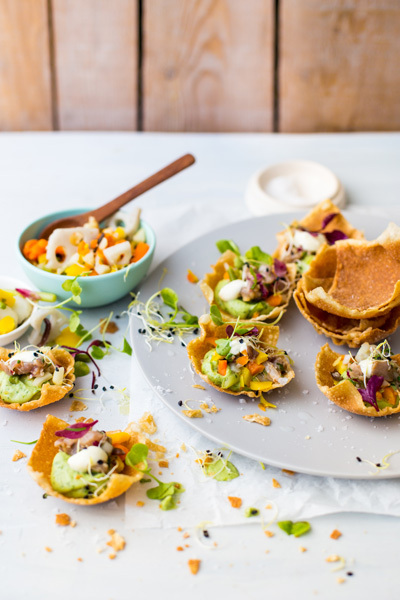 A really simple but pretty, canapé packed with so many delicious flavours. A combination of simple yet delicious flavours that come together beautifully for a tasty, fresh dish. 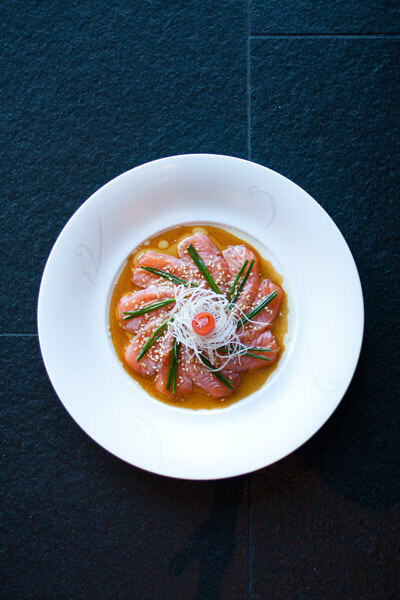 Sublime fresh fish finished with soy, sesame, ginger and garlic – classic Asian flavours, and so pretty too! 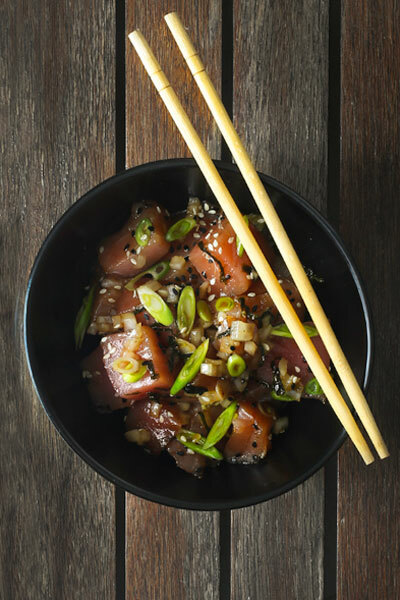 Man do we love poke bowls! 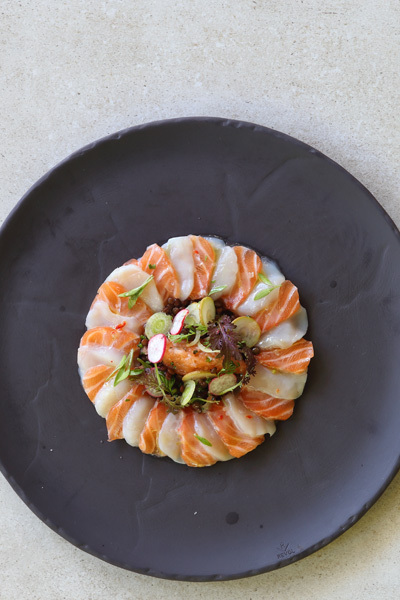 The classic Hawaiian dish is filled with simple clean flavours that let the fish shine. 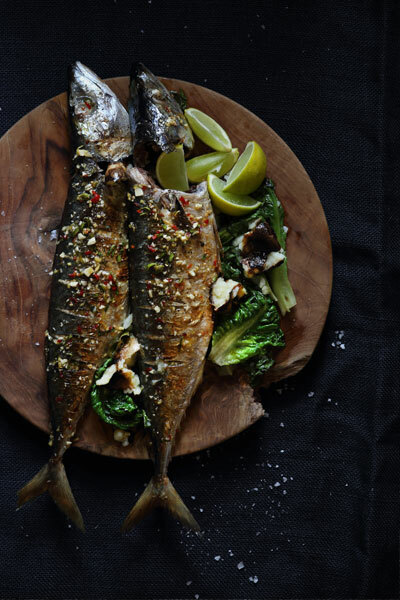 Curing and searing fish is another easy, quick and delicious way to prepare fish in a healthy way. 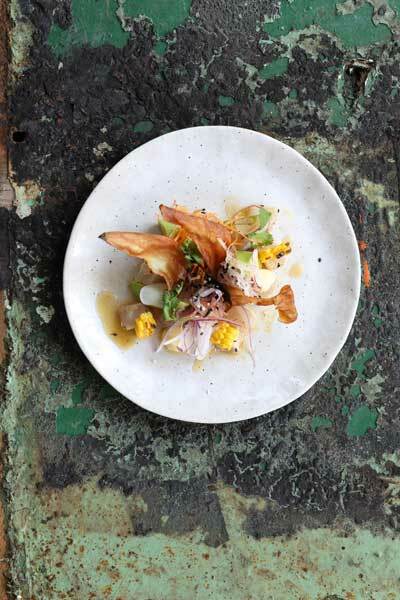 A gorgeous plate full of colour, flavour and texture. A perfectly light and refreshing start to any meal. Delicious sesame crusted salmon sliced and served with freshly squeezed lemon juice and a fresh fennel and tomato salad. Served with chilli and red pepper sauce. We’ve used the Aji Rocoto chilli pepper, which comes all the way from Lima, Peru. Recipe for Sesame Seared Salmon. 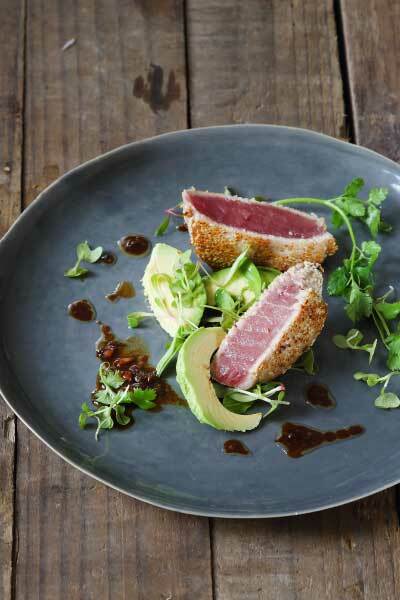 Golden seared tuna with sesame seeds, garlic, chilli and ginger served fresh with clean and distinct oriental flavours. Cooking over the open coals is one of the most tasty ways to cook and it also is pretty healthy too. You’ll be using very little oil and can get a lot of great flavour from the smoke. It’s definitely one of our favourite ways to cook fish. Have you ever heard of a more manly tuna steak in your life? Blackened. As the name suggests this awesome way of cooking tuna steaks produces a dark, crusty spice exterior. 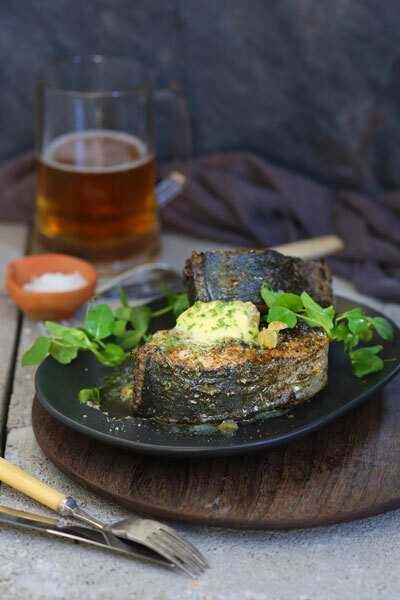 A spicy take on omega 3-rich mackerel – best done on the braai! The best way to prepare a yellowtail is over some hot coals. This way you achieve a delicious smokey flavour. 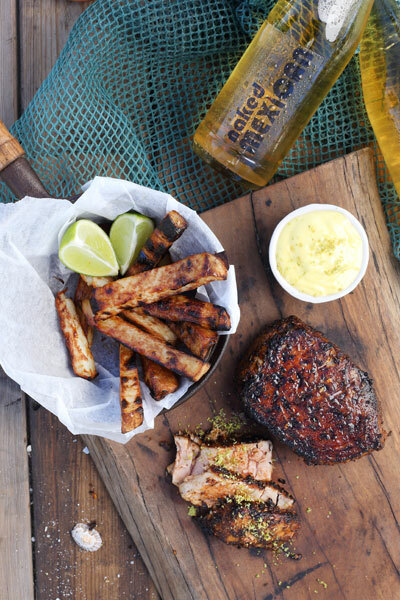 Yellowtail on the braai is a South African favourite. It’s firm and meaty and holds up well on the grid. 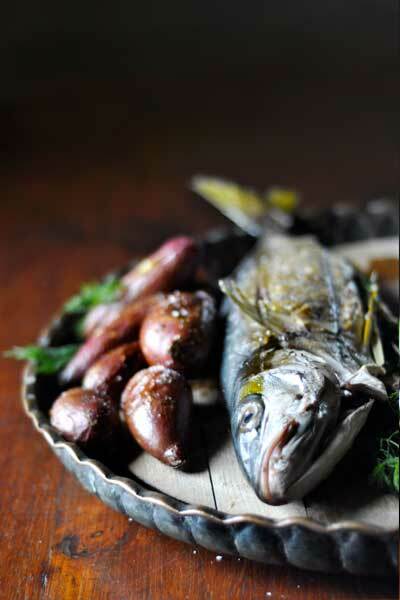 A darne is a way of cutting the fish widthwise, which gives it a great steak-like quality. 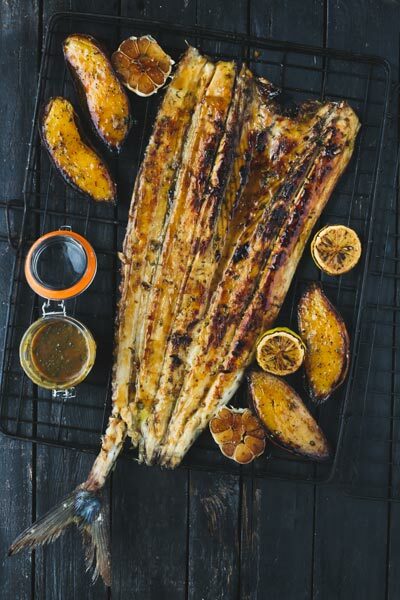 This recipe for braaied whole snoek with apricot basting is a real South African classic and is perfect for summer entertaining. 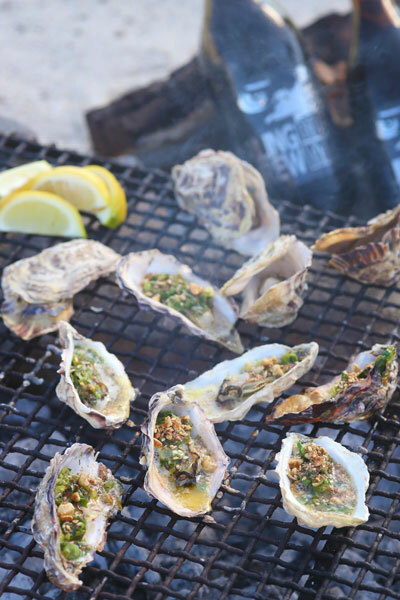 Avoid the hassle of shucking and simply put the oysters straight onto the grill. They’ll poach in their own juices and pop right open when they’re ready. 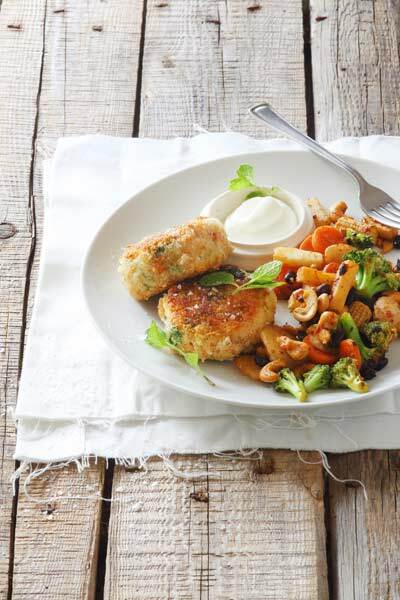 Fishcakes are great for meals during the week when you are short on time and have a family to feed. They’re really simple to make and can be shallow fried in a good quality olive oil or coconut oil to keep them on the healthier side. Not your ordinary fish and chips, the sweet potato wedges add a bit of sweetness to this meal. 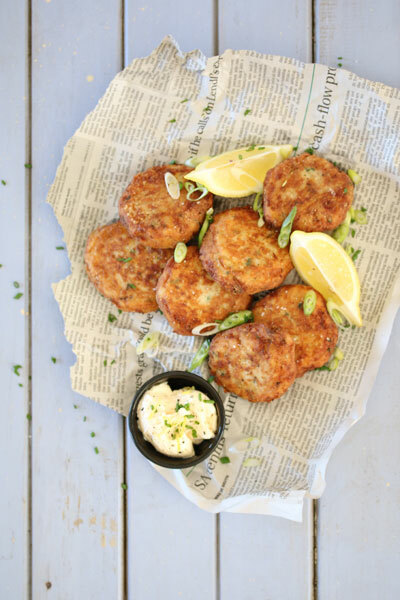 Tasty fish cakes with a delicious dill mayo as a dip. 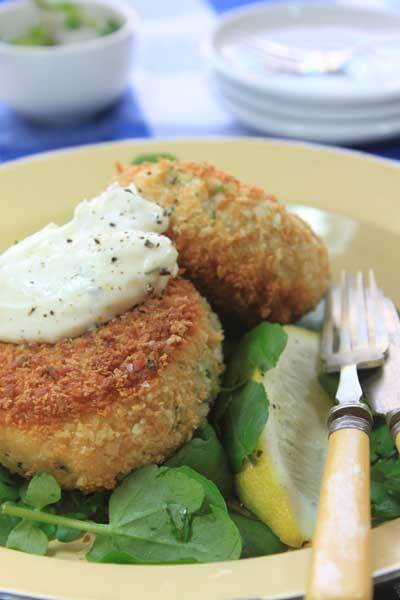 Canned tuna makes utterly moreish fishcakes. Great as a midweek meal for the family. Fish served with stir-fry is a great meal for families; it cooks really quickly, is tasty and packed with nutrients. 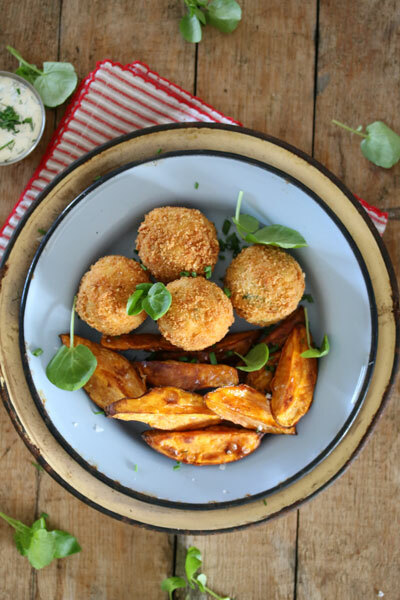 These salmon fishcakes are so delish! Ok, we know, deep frying is not the healthiest way to prepare fish but it sure is one of the most delicious. We’ve added in just a few not-so-healthy fish recipes, just in case you feel like something a little more indulgent. A tasteful seafood dish with the perfect dip! Perfect for a starter or a light main with so much flavour from the parmesan crust. 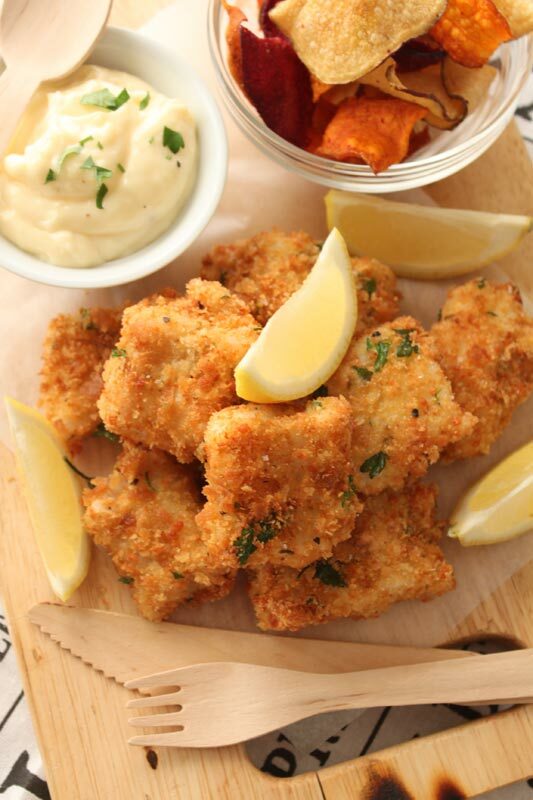 Perfect when dipped into that drool-worthy garlic aioli! Who doesn’t love a great fish and chips? 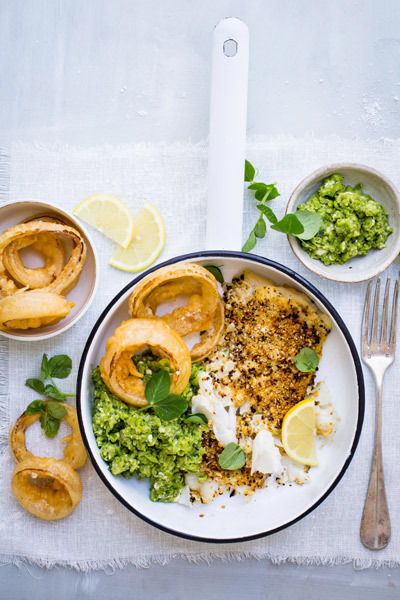 This recipe will become a firm favourite, light and crispy batter and perfectly succulent fish. 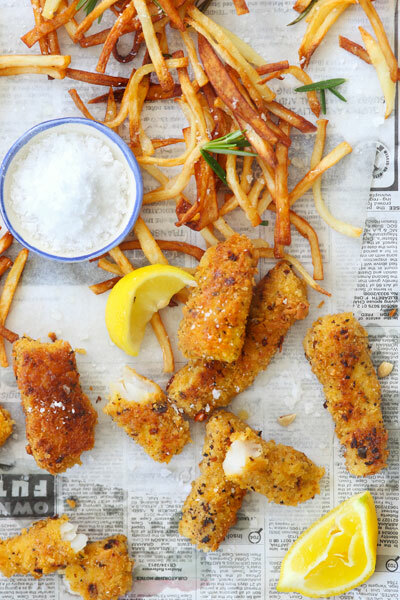 Give your fish goujons a spicy twist with this recipe. They are delicious served with rosemary straw potato chips. 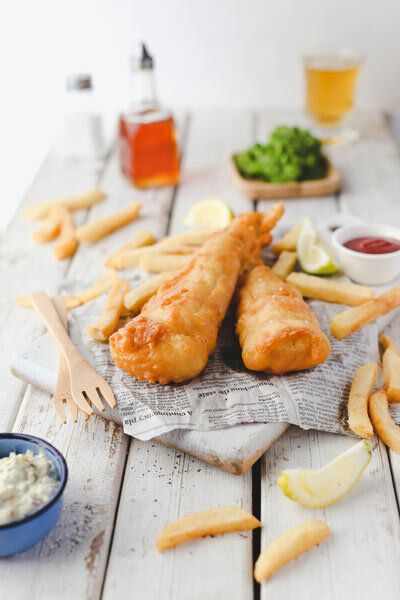 If these healthy fish recipes gave you a hankering for healthy fish recipes outside of your home, check out our list of the best Fish ‘n Chips shops in Cape Town and grab yourself something tasty.